What is environmental reporting? 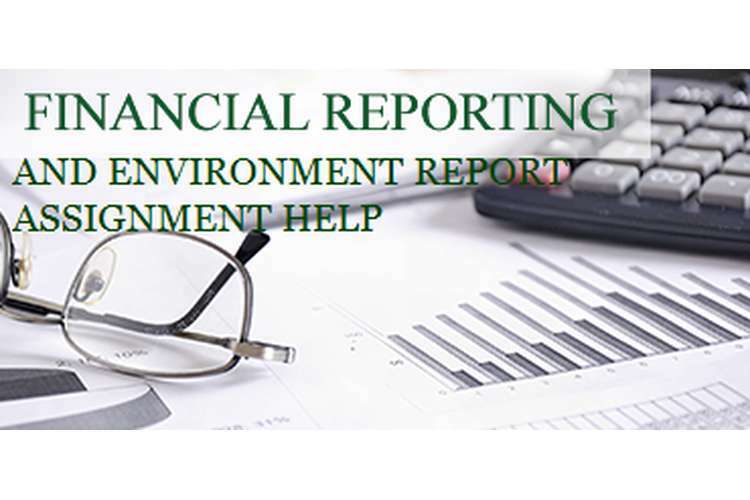 Explain how reporting on environmental issues could be related to the objectives of general purpose financial reports (GPFR). This financial report and environmental reporting assignment help is the concept of the environmental reporting is not new to the corporate world. For not less than 20 to 25 years the matters related to the corporates effects to the society and environment had been a point of critical discussion, all responsible organisations take stock of their impact to the society and environment, they work in direction of trade-off between the impact done and contribution made to the society. (Zuaini 2012) This can be explained by understanding that the business success if not completely then at least partially depends on the environment and society, now it is of prime importance whether the business assignment is using the society and physical environment only to their advantage and not reciprocating back to society or are they giving them back society’s due and making a trade-off. The concept of environmental reporting is ideally a subset of ‘Social reporting’, but since it is the most prevalent kind of the reporting therefore it needs to be mentioned classified as a separate reporting. It is important to analyse that what information is shared by the corporates and to what extend is it shared. These days such reporting has become so widespread and the disclosures related to environment impact have become so extensive that many companies have started to publish a separate report on the environment reporting. (Zuaini 2012) Still, the level of the voluntary environment disclosures are less than the ideal level expected from corporate. Most of the companies are publishing the details which are positive in nature like the contribution that is been made by them to the society and environment, but not much can be found about the impacts which are negative in nature towards the society and the physical environment. The basic purpose of the financial reporting is to impart the important information to the users about the reporting entity. Also, the objective of general purpose financial reporting is to provide the information to the stakeholders that are of use to the concerned people in taking the decision with regards to the scare resource allocation. As discussed above about the details and nature of environmental reporting and also about the objectives and purposes if ‘General Purpose Financial reporting’ it clearly has positive impact on the society and environment, as when the details of the impact on society and environment is reported, it brings the details to the general public and also under the watch of the statutory bodies, which helps in meeting the objective of the general purpose financial reporting by bringing the details of the environment impact in the knowledge of the general public, this in turn makes them aware about the positive and negative of the activities of the organisation. This helps in taking the balanced decision at their end, this ultimately serves the purpose of the general purpose financial reporting, as the basic idea of later is to create aware ness among stakeholder to take balanced approach about the organisation etc on the basis of disclosures. It can be clearly observed that the reporting of the social and environment factors is very useful to the general public and other stakeholder and the authorities which are concerned and accordingly the decision could be made in regards with fresh policy making and the balanced approach required to meet the social objective and personal call related to the reporting to the environment. (social 1993) This can be further explained by the help of small example, if the label of product says the origin of the product it gives an idea about the county etc thereby educating the stakeholder to take a call basis the information shared. Zuaini Ishak, C. (2012). Corporate Social and Environmental Disclosure: A Positive Accounting Theory View Point. International Journal of Business and Social Science, Vol. 3(No. 9; May 2012). Drcaroladams.net. (2014). The ethical, social and environmental reporting-performance portrayal gap. Social & environmental accounting. (1993). Dundee, Scotland: CSEAR, Dept. of Accountancy & Business Finance, University of Dundee.